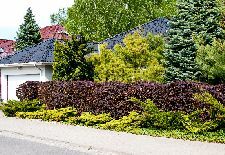 Annuals are a terrific way to put some color in your landscape. You don’t have to go crazy overboard to really punch up the front of your home. Pick plants that work. Select plants that don’t need a lot of fussing with deadheading or have problems with disease or insects. Annuals planted in the ground will need less watering than the ones in containers as the season progresses. But in all cases, be consistent with food and water for the best show. Then, pick your color palate. What color is going to show up nicely against the color of your home? Is your home dark brick, earth tones, or white? Will your plants be in sun or shade? White and green can be very elegant. White and blue are a classic combo. How about white blue and yellow together? Red and yellow together is very showy and used a lot. You would think you might need a pruning shears to prune your pine trees…but not the case at all. When the new growth elongates like it does at this time of the year on Pine Trees, it looks like “candles” stuck on the tips of each branch. Usually there is one center longer candle in the center surrounded with several shorter candles. 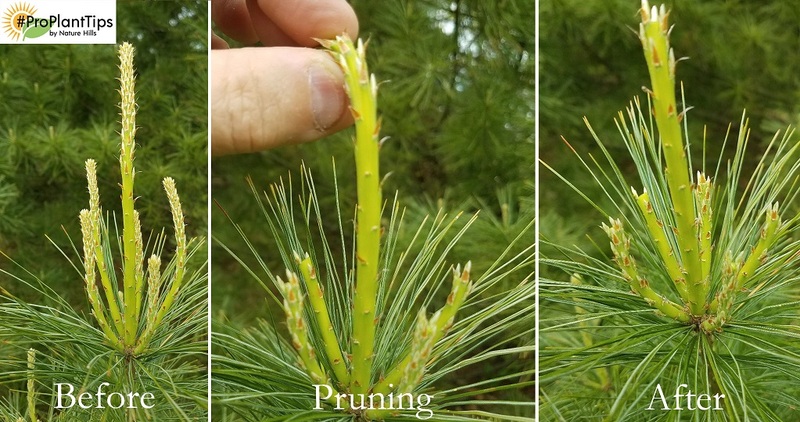 The best time to prune all pine trees is when the new candle growth expands and before any needles have started to from on those candles – typically 6” or so. That new growth is tender and very easily shortened up by breaking that new growth back by about half way with your fingers leaving the longer candle the longest on the tip of each branch, including the very top of the tree. 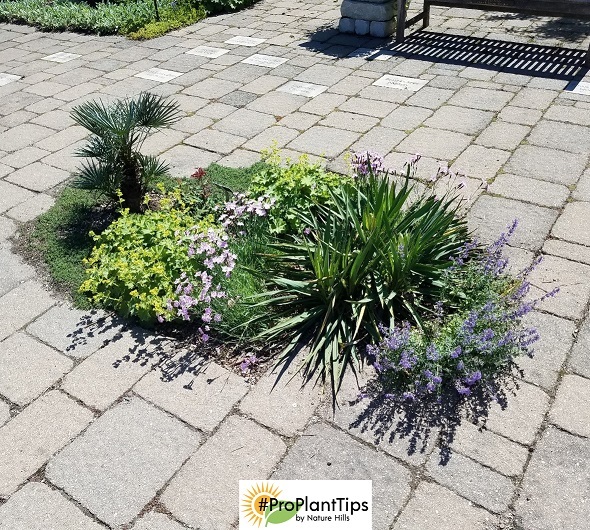 Plant types, soil types, sun/shade exposure, and the climate you are in will dictate your watering schedule for the plants in your yard. Water deep and thorough, and as needed to prevent your plants from being stressed. 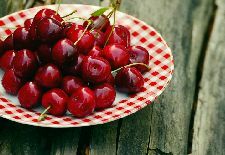 Plants that are not stressed remain vigorous and can ward off problems easier and recover faster if there is a problem. Water the soil at the roots always, don’t spray the leaves of any of your plants whether they are trees, shrubs, roses, annuals or perennials. 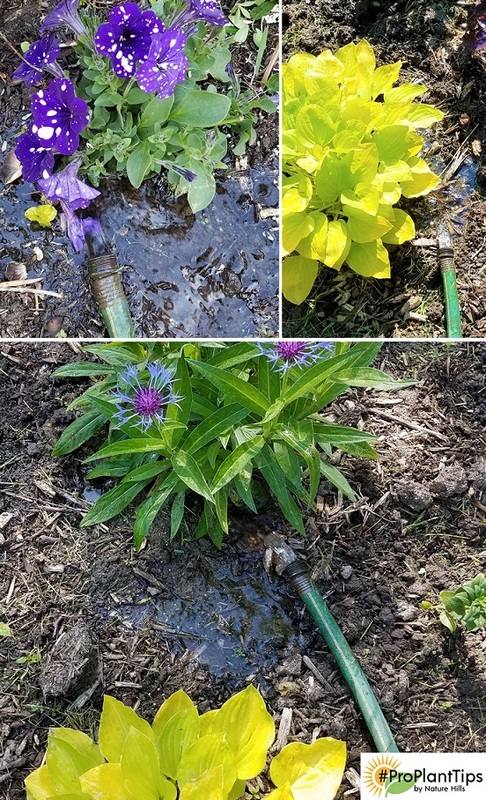 Don’t use a nozzle on your hose, just use the hose itself to water your plants. 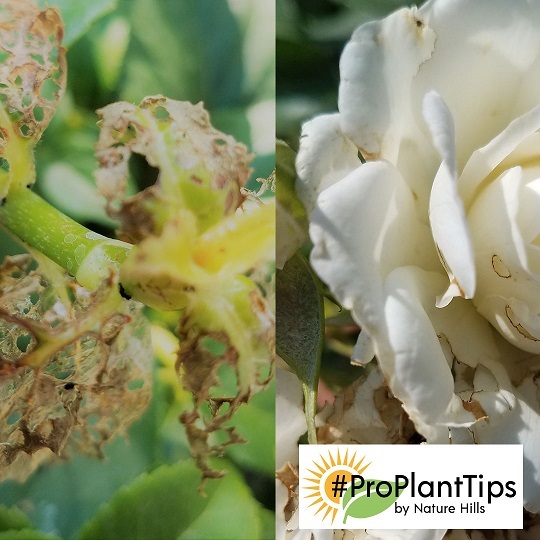 Spray nozzles will tempt you to spray the flowers and leaves of your plants and that is exactly what you DO NOT want to do. There are a few things you should know about keeping your bird feeding stations healthy for your visitors. Summertime rains can get your seed in the bird feeders wet causing clumping and mold or sprouting to occur. Regular feeding creates some debris to build up on the trays that have drainage holes (see below) to allow the rain or irrigation water to quickly drain away keeping the seed drier. Scrape away this built up debris before you clean the feeders. 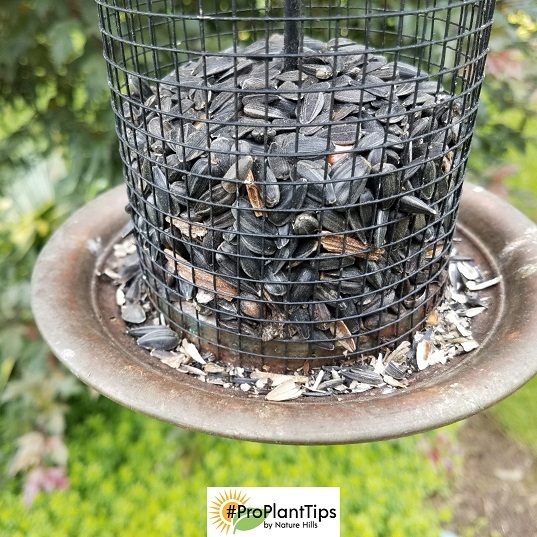 The next time you go to fill you feeders, shake them a bit to see if the seed can move freely within the feeder. Maybe it is time to empty your feeder completely. 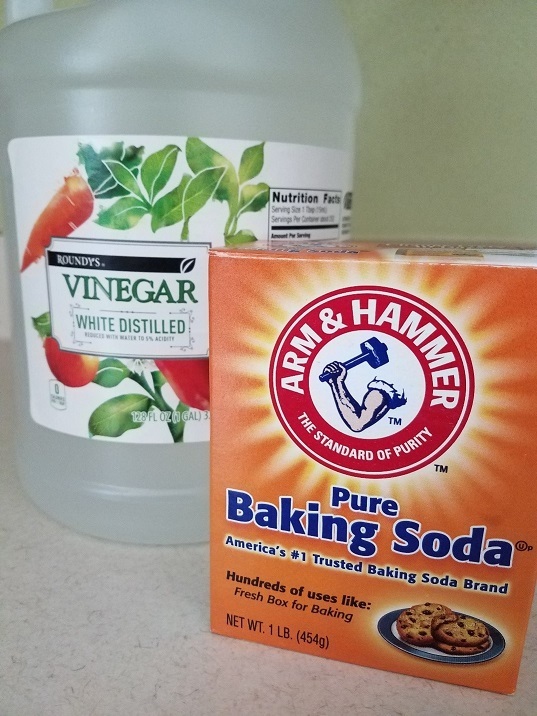 Take a bucket and put a 10% non-chlorine bleach solution in a bucket and scrub your feeders with the solution. Rinse them well. Then allow the feeders to dry in the sunshine before refilling them. There has been extensive work done hybridizing and selecting new introductions of Coral Bells. The old-fashioned selections were basically grown for the airy wispy flowers born on long stems that put the flowers above the foliage. They were great cut flowers to add to your arrangements. There are still some selections of Coral Bells that were selected for the flowers, but so many more selections have been introduced for the incredible leaf color. Coral Bells (Heuchera) come in a myriad of color from yellows, oranges, silver and purples of many shades. They are wildly attractive perennials but have become more commonly used as landscape plants. How is your brick patio looking? How are you using that space? Typically, you have seating areas and fire pit areas, and there are some places that are just unused. Why not create a little interest in those out of the way spots? Center spots, edges, corners all can be transformed into super little garden areas. How about removing some of those bricks in that patio and use those spots to showcase some of your favorite plants? Remove the bricks to create an irregular interesting shape. Perhaps you have a very formal patio and you can also do a very formal design as well. 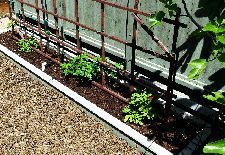 How about pulling out part of a row and including Mixed Sedum just to define the edge? Shake well and apply to dry foliage in the evening when it is not going to rain. Remember this mixture is used like you would a total vegetation killer, not for your lawn. Do Japanese Beetles exist in your area? Did they just move into your area? It seems that when Japanese Beetles first move into an area, they have a voracious appetite. The brown beetles have an iridescent green sheen and commonly found feeding on the newest growth of plants they like. The eat the tissue between the veins in the leaves leaving the leaves looking like brown lace. The also eat the flowers of some plants like roses. Here you can see one in the lower left-hand corner feeding on the rose flowers. 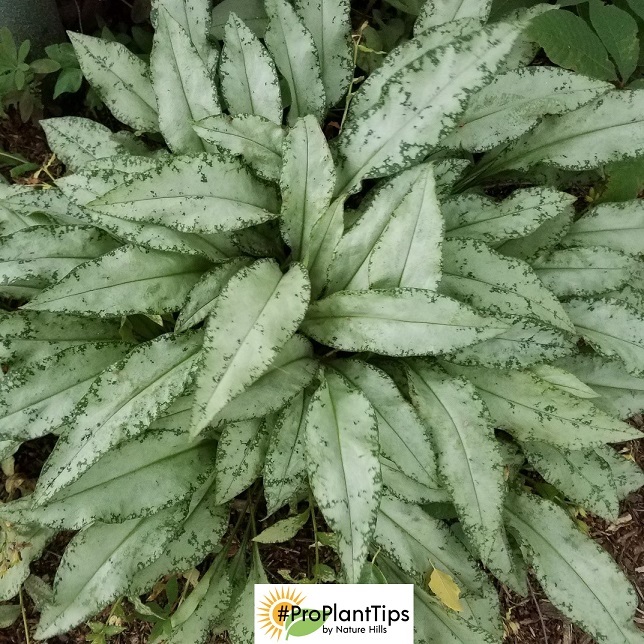 Lungwort is a cool plant that emerges early in spring and immediately sends up fuzzy leaves and flower stalks follow soon thereafter. 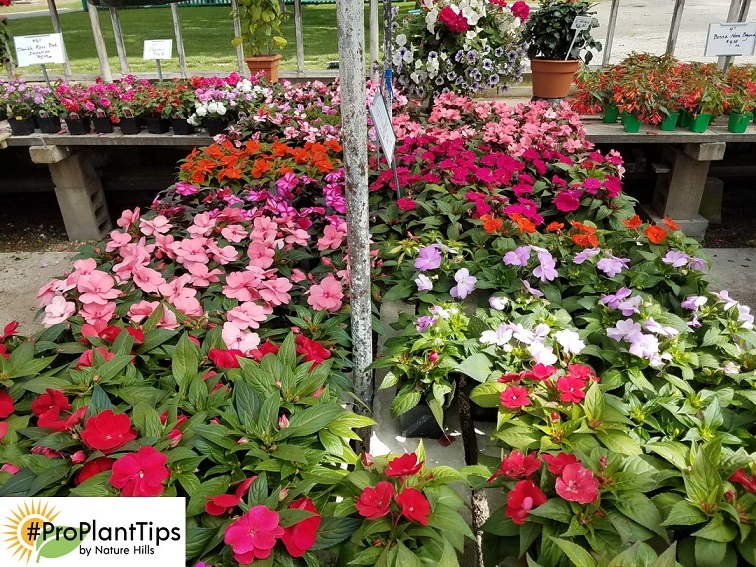 Flowers are born on short stems just above the foliage with fine textured flowers that are typically blue and or pink in color and last for about a month. 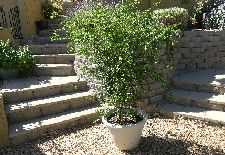 When the flowers are done, the entire plant begins to transform itself from a small flowering plant into a bold and beautiful foliage plant. 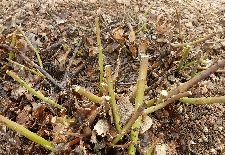 New leaves begin to emerge that are larger and more robust. 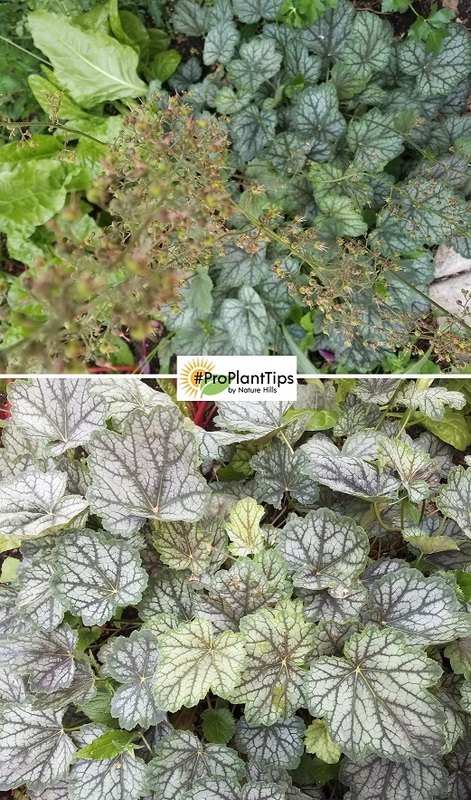 It is always a great idea to remove the old flower stems right down to the ground and allow the incredible foliage that take over to really punch up your shade garden. Perennial Salvia are unbeatable when it comes to color, that is for sure. Most of the selections are in the blue and purple range and put on a show like few other plants can. Salvia are tough old plants tolerating drought and have few if any problems. 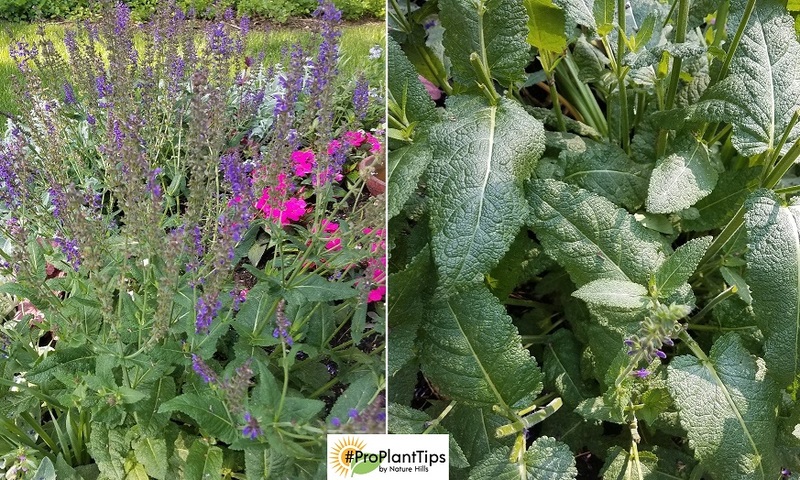 Really, the only drawback to perennial Salvia is when the first round of blooms is finishing, they can look a bit unkempt. The remarkable thing to know is that most selections will blow you away with another round of bloom if you take literally a minute to deadhead the old blooms after round one. As soon as your purple spikes have finished blooming, the plants sometime open up and look a bit rangy. Just a few snips with your pruners and in a brief period, just a couple of weeks and you will be looking at a whole new show.